A tradition in Germany and Sweden, these simple, all-natural straw ornaments are beautiful, affordable and fairly easy to make. 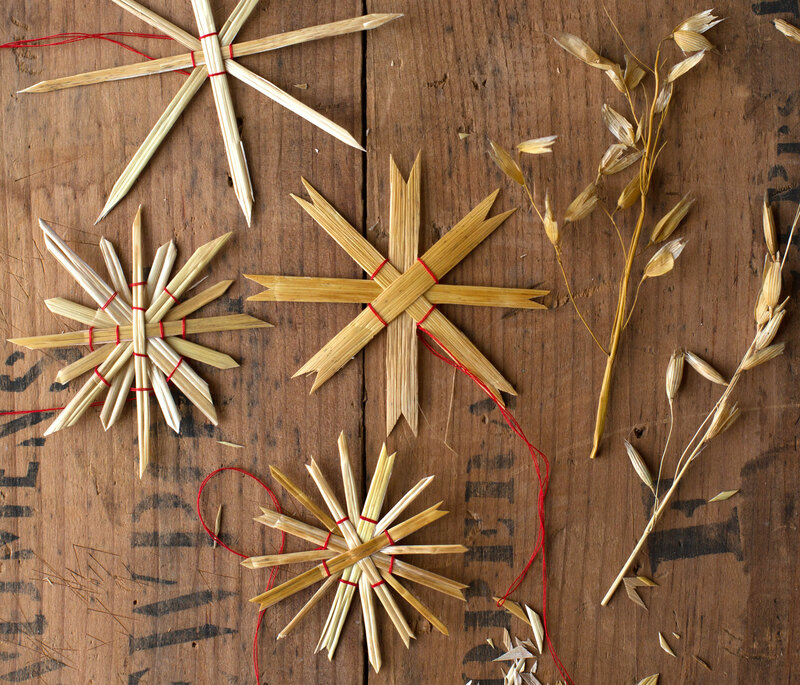 Make some to grace your Christmas tree, then make some to give away as gifts. This is a good craft to do with children over the age of 5. 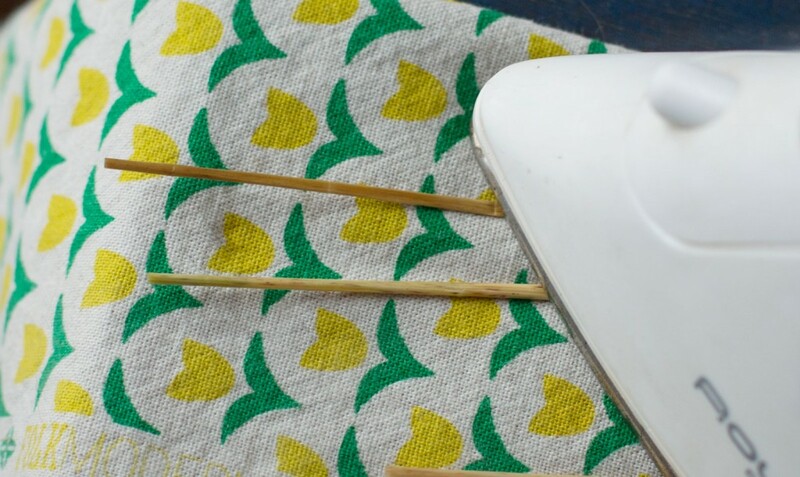 Soak your straw in a basin of water for about an hour to soften and prepare it for ironing. 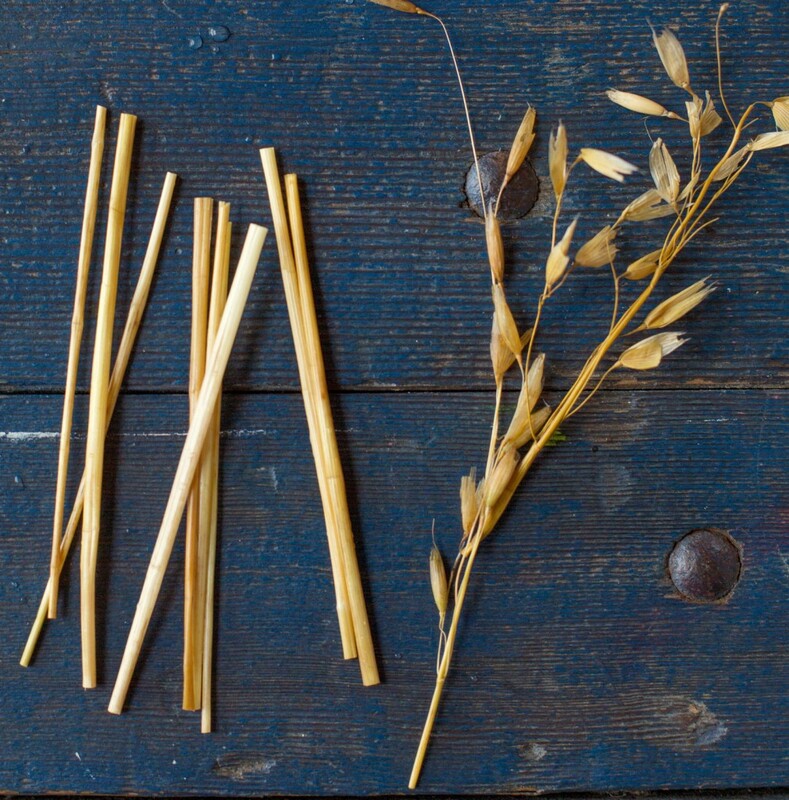 Choose eight or ten pieces of straw to begin with. Cut them to about the same length—3.5 to 4 inches is a good starting point. Narrow, hollow pieces which are fairly uniform in size work best. You can also choose wider hollow pieces, slice them open and iron them flat to create wide strips. 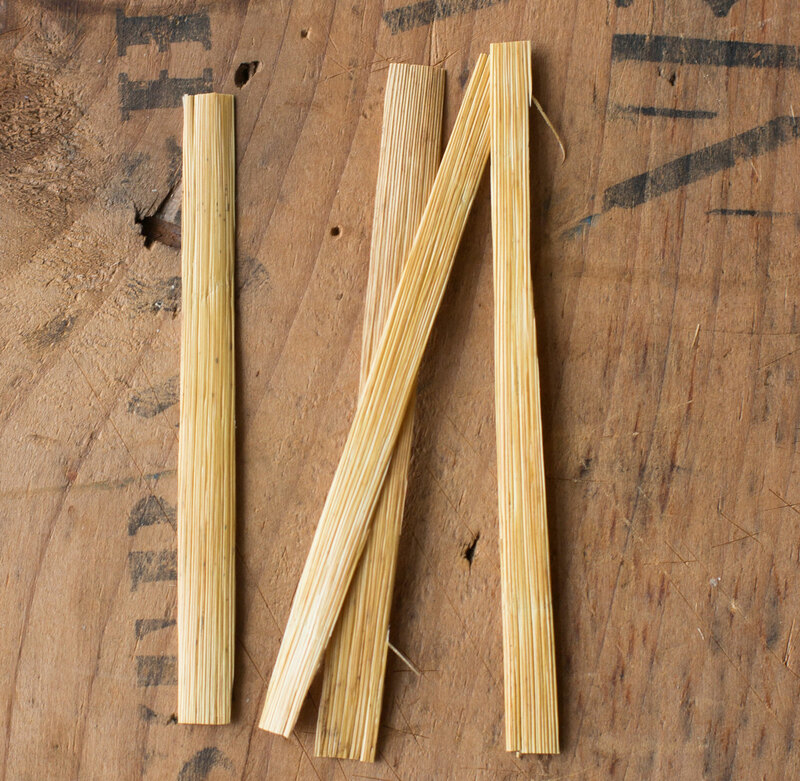 Alternating wide and narrow pieces of straw is one technique used to create an interesting design. Iron the damp straw pieces. 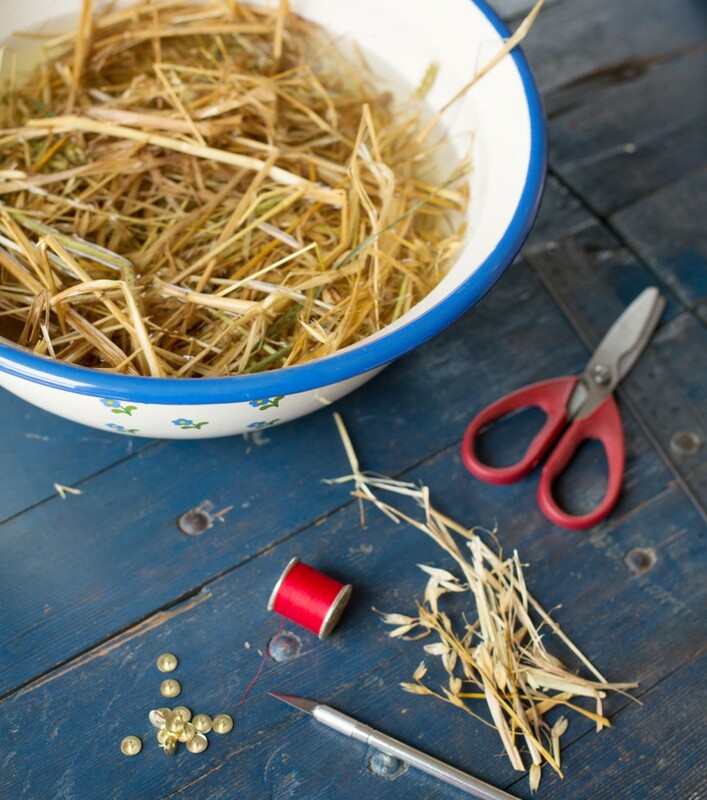 Ironing the straw allows the pieces to lie flat against each other when tying up the star, which will make that step much easier. 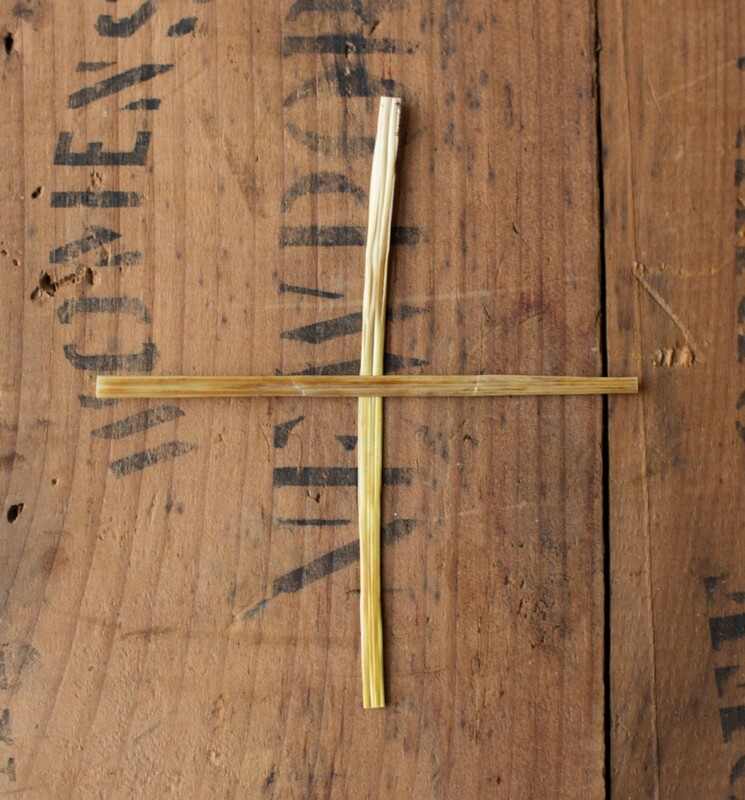 Place two pieces together in a cross formation. Add two more pieces diagonally to create an eight-pointed star. 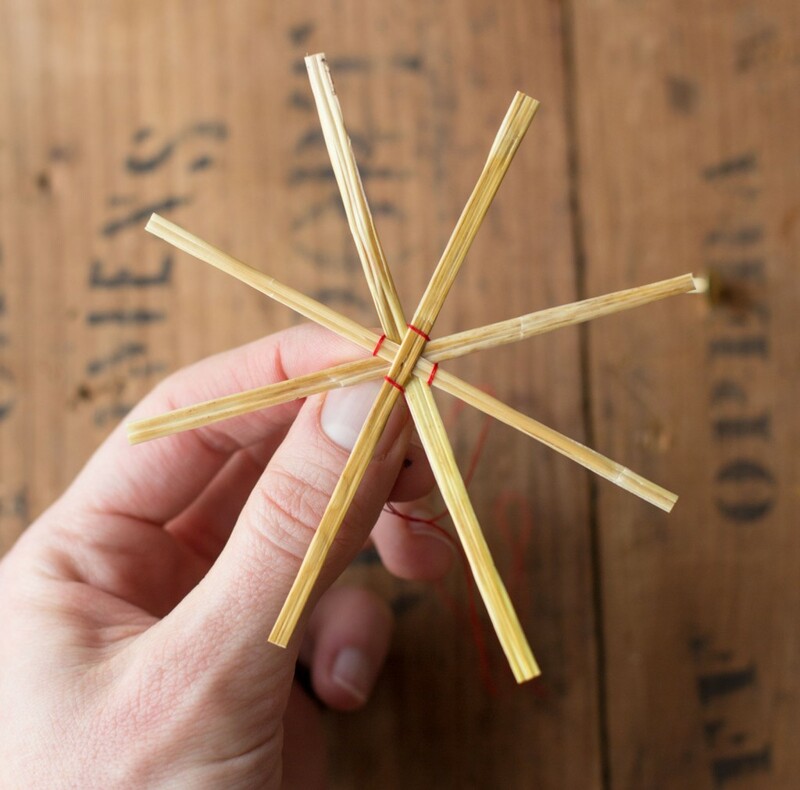 You may want to pin the star down in the center at this point, especially if you are working with younger kids (the straw can be a bit slippery). As you gain confidence and experience, you’ll be able to pinch the star tight in your hand as you wrap the thread around it. Wrap a length of thread (doubled up helps to add structure) over one of the topmost pieces, under its neighbor, and so on, as you work your way around the star. When you get back to where you began, tighten the thread so there’s no slack. 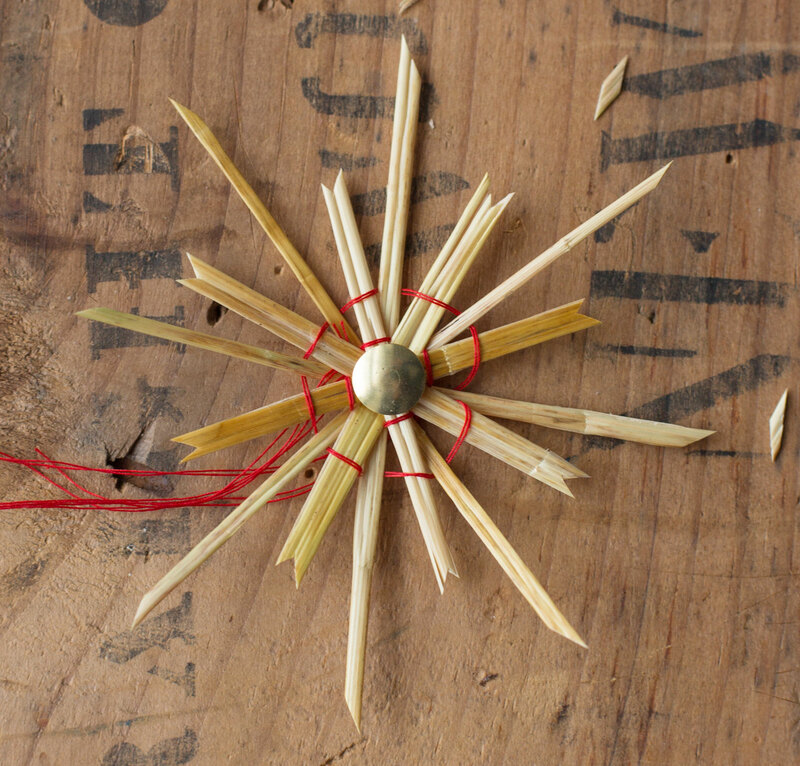 It’s a bit tricky, but once your star is woven with the thread you’ll be able to pick it up and tie it fast. Using your x-acto or knife, cut points at the end of each piece (parents may want to do this part for their children). Shorten and even out the pieces if you’d like—try alternating short and long pieces or alternate different points. 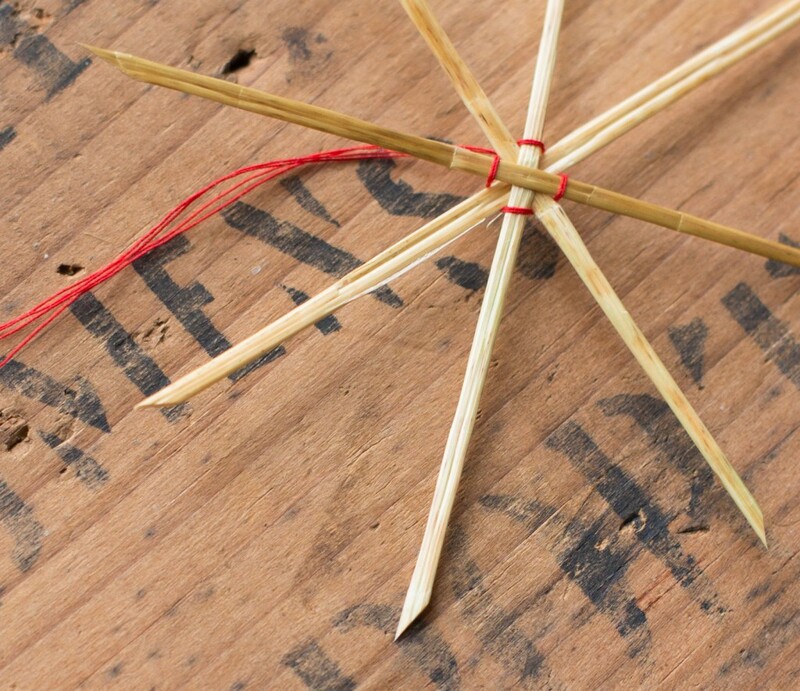 There are many styles of points; try double arrows, slanted cuts, or a simple sharp point. You’re done! 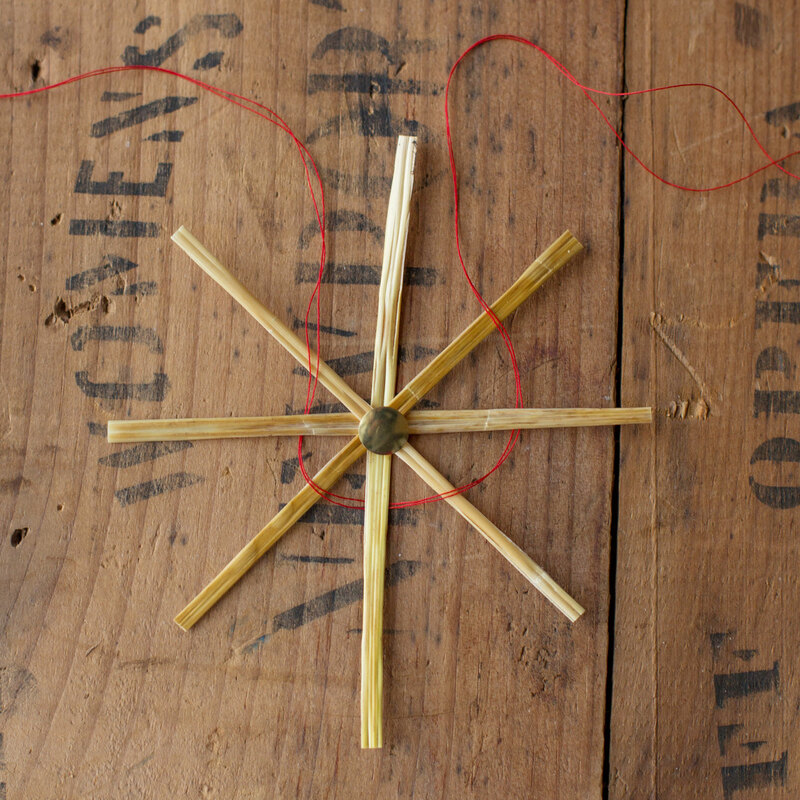 Tie the extra thread together to make a hanger for your ornament. 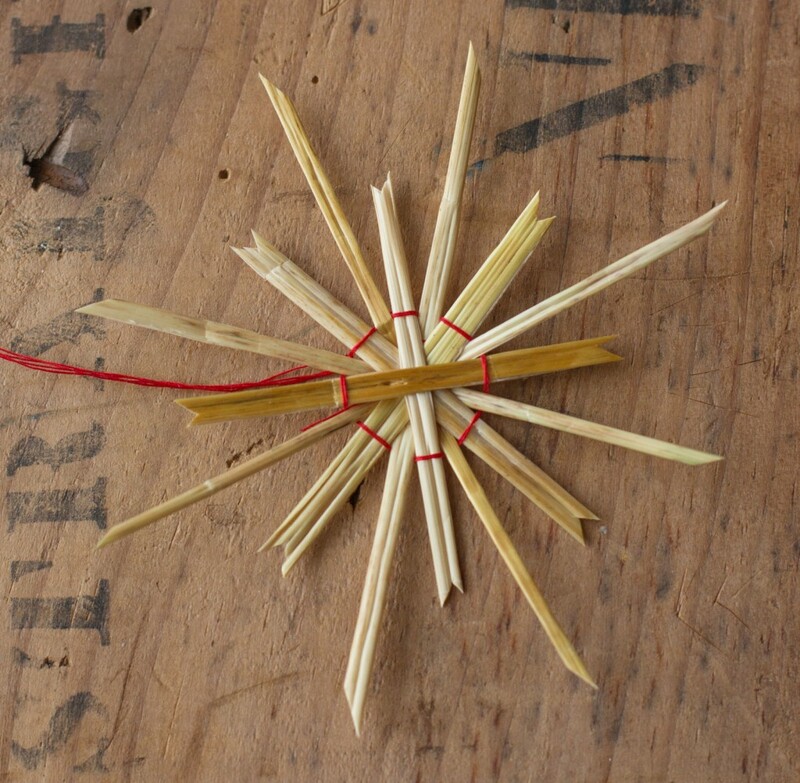 If you want to create a sixteen-pointed star, place one eight-pointed star atop another and weave them together using the same method: starting over one of the topmost pieces, then under the next and so on, all the way around. You can then cut off the original thread binding the eight-point stars if you wish. Are you hooked yet? You’ll find it gets much easier as you go along, and you’ll soon want to experiment with new designs. See The Christmas Craft Book to learn how to make stars bedecked with smaller stars, 24-pointed stars, 32-pointed stars, 64-pointed stars (!!) and a straw star mobile. Enjoy the warmth and beauty of your hand-made decorations. 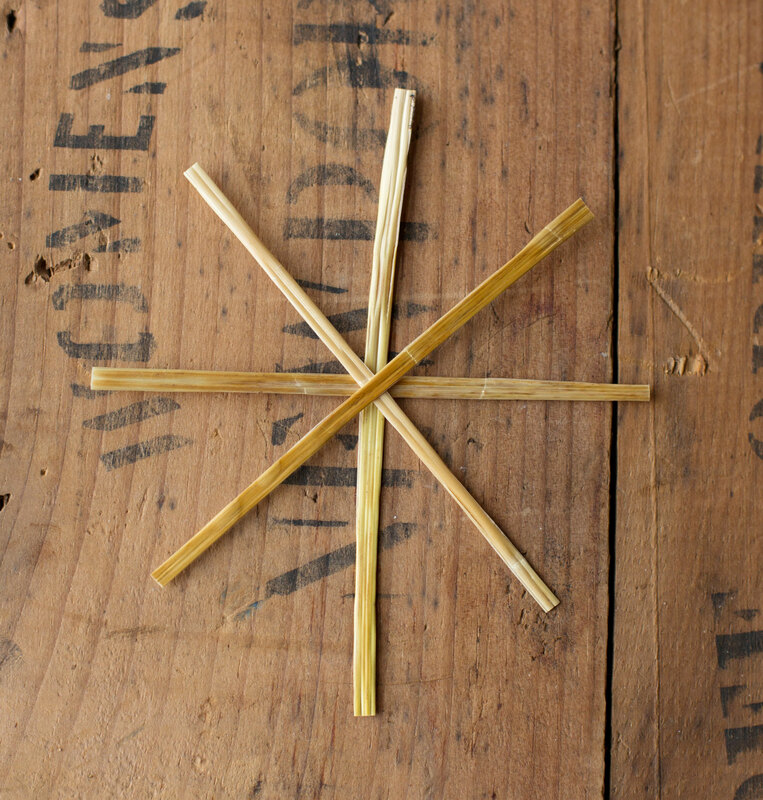 So happy to see directions for straw stars here! 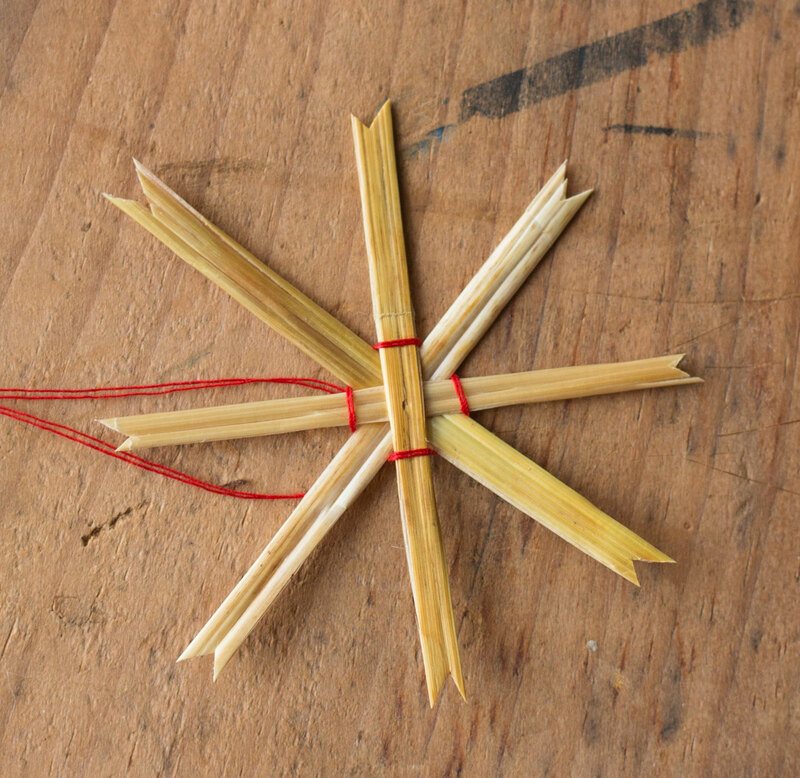 This post inspired me to make a few this year and I haven’t made them since I was a child with my mom! Just a quick tip: We used ours year after year and stored them in a book with a rubber band around it to hold them securely until next year.